This recipe is so easy calling it a "recipe" may be a stretch. Fresh as possible spring sugar snap peas, good extra virgin olive oil, sea salt, and jarred sweet/hot cherry peppers for a bit of heat quickly sauteed for a few minutes, and you are good to go. The dish is delicious and so beautiful on a white plate. 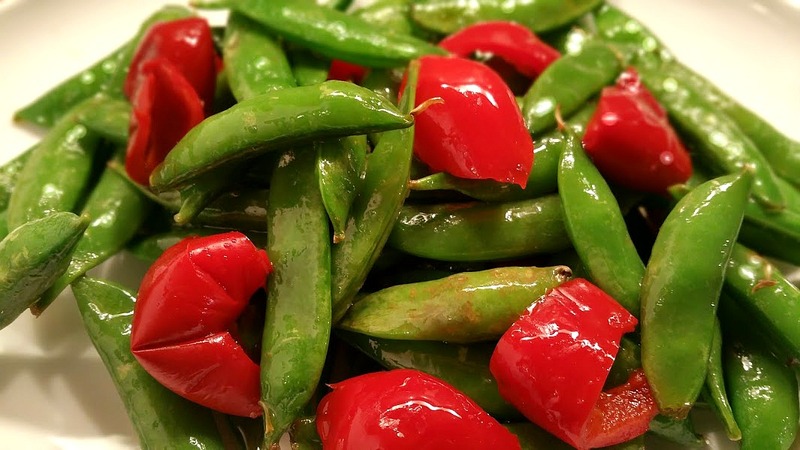 A 3-ounce serving of raw sugar snap peas provides 50 milligrams of vitamin C, more than half the recommended daily intake for that antioxidant nutrient. It is also a rich source of some B-complex vitamins, giving you nearly half the niacin and one-tenth of the folate you need each day, boosting your intake of these nutrients that help your body convert food to energy. It gives you one-fifth of the vitamin K you need, ensuring that your blood clots properly and supporting your bone health. 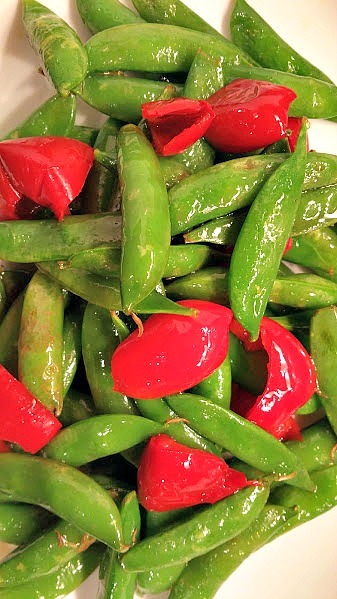 Boiled sugar snap peas have 40 milligrams of vitamin C and about the same amount of niacin, folate and vitamin K as raw sugar snap peas. Give this dish a try. You will be glad you did. Heat a large skillet over medium-high heat. Add the peas and saute until crisp-tender. (approx 3 minutes). Add the peppers and saute another minute. Season with salt and serve. 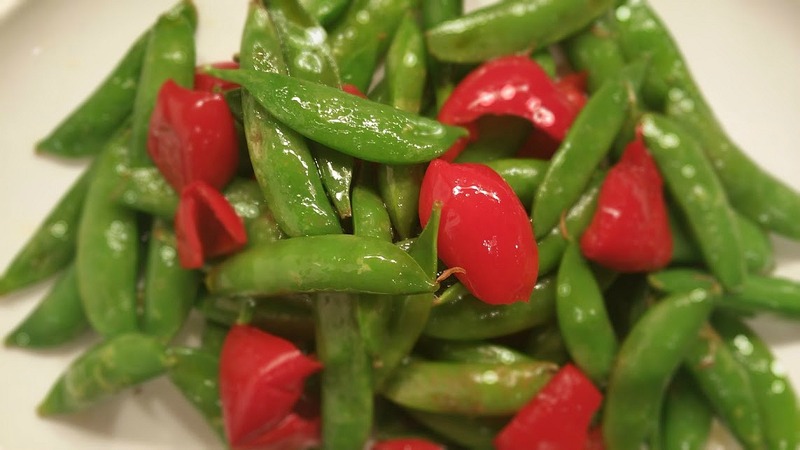 It is Spring Peas Week at Food Network's Sensational Sides roundup. Do you have a favorite peas recipe to share? Please list (or link) in the comments below. And be sure to check out the other delicious sounding recipes from my blogger friends and Food Network. 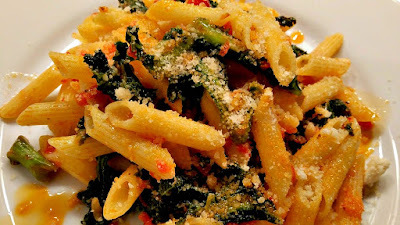 Ok, so I know spicy chile, garlic and kale pasta is not your typical Easter side dish fare but just imagine it paired with roast beef, or lamb or turkey. Gorgeous color, fresh taste, loads of flavor. It just shouts spring to me. Best of all you have a delicious main dish for your vegetarian friends. Happy Spring everyone! The key to this dish is Calabrian Chile paste. I love the Silanfunghi brand of chile paste and used to buy it by the case at NapaStyle, Michael Chiarello's store, and catalog. They are "rebranding" and not taking orders at this time, so I have found other brands on Amazon. I am pretty addicted to this sauce and always have a number of jars in my pantry. Try the chile drizzled on pizza, or eggs, or vegetables of any sort. It is spicy but not "stupid hot" as my husband likes to say. 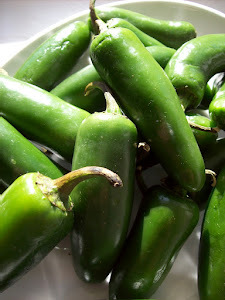 I shared a recipe this week for Sauteed Broccolini With Garlic and Chile On Toast over on my Napa Farmhouse 1885 blog. The broccolini also features the chile sauce. You should give it a try too. Heat a large skillet over medium-high heat and add 2 tablespoons extra virgin olive oil. Stir in the kale and 1 cup of water. Cover pan and allow kale to cook until crisp-tender. (about 4-5 minutes). Remove cover and saute kale until most of the liquid has evaporated. Add 1 tablespoon olive oil, the garlic, pine nuts and a pinch each salt and pepper. Cook for 1 minute. Add 2 tablespoons chile paste and stir to combine. Taste and adjust seasonings if needed. 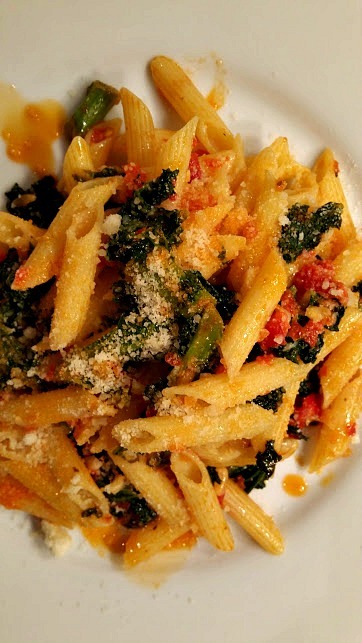 Add the hot, cooked pasta to the skillet and stir to combine. 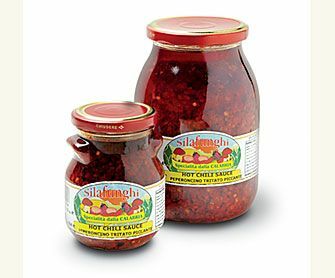 Taste and add the additional tablespoon chile paste if you want a spicier dish. Generously top pasta with cheese and serve. It is Easter Sides Week at Food Network's Sensational Sides roundup. Do you have a favorite side dish recipe to share? Please list (or link) in the comments below. And be sure to check out the other delicious sounding recipes from my blogger friends and Food Network. I first posted the recipe over on my Napa Farmhouse 1885 blog back in 2009. Some of my favorite food bloggers guest-hosted the site for a Thanksgiving roundup. 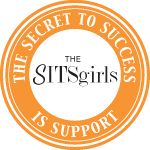 My blogger friend Theresa Loe submitted this post. Since then, it has become one of my favorite cakes and I make it year round. The spicy ginger flavor is perfect for a blog about spicy food. Enjoy! My mom loves to, bake and she passed that love on to me. As a little girl, I always had the important job of measuring these spices and stirring the ingredients when she was making something delicious. While other households only made pie, we were making gingerbread cake, gingerbread cookies, bread puddings and spicy pies with extra ginger and cinnamon. wonderful ways to enjoy the spice. 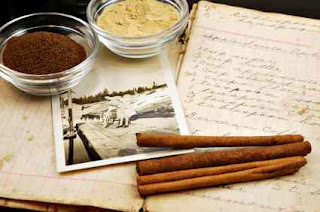 Below is a recipe for gingerbread cake that we like to make each year." It is Cake Week at Food Network's Comfort Food Feast roundup. Do you have a favorite cake recipe to share? Please list (or link) in the comments below. And be sure to check out the other delicious sounding recipes from my blogger friends and Food Network.